For a small community of just over 13,700 residents, there sure are plenty of great places to stay in Ketchikan, Alaska. It’s easy to find a place to can hunker down comfortably for a night stay. Or you can stay longer and give yourself plenty of time to explore the natural beauty of this pristine area. Not only are you spoiled for choice in accommodation, but you also have a lot of options for how you spend your nights. Ketchikan has bed and breakfasts that provide all the comforts of home, campgrounds that let you sleep under the stars, and full-service hotels where you can stay in luxury. Surrounded by an old growth temperate rainforest populated by Western Hemlock and Sitka spruce, Signal Creek Campgrounds is located near the banks of Ward Lake. The site is open year-round and is about 7 miles north of Ketchikan. Signal Creek provides campsites for up to 10 people, with picnic tables, campfire rings, and grill. Clover Pass Resort is an RV only camping grounds about 14 miles north of Ketchikan and features 35 sites. Being located on the southern tip of Alaska’s Inside Passages, Clover Pass is ideally situated to grant easy access to some of the greatest fishing experiences Ketchikan has to offer as schools of migrating Pacific Salmon move into the protected waterways around Ketchikan. Last Chance campground provides drive-in access to 19 campsites, with 17 accessible via wheelchair. There are fire rings, vault toilets, hand pump water (you may need to take your own water), and garbage cans. Last Chance is located about 9 miles north of Ketchikan and accessed by traveling along the N Tongass highway and turning left onto Revilla Road. If you are looking to treat yourself when searching for places to stay in Ketchikan, Alaska then you can’t go past Ravens View. Inside these charming lodges, you will find a full-service kitchen, fireplace, dining facilities, TV, BBQ, and internet access. All the comforts of home but with the magnificent views of Clover Passage and a front row seat to watching the wildlife of the area. If you time your trip right, you will be able to enjoy the sight of Orca and Humpback whales migrating through the bay. Tucked away on the scenic coastline is your choice of one, two, or three-bedroom apartments, or for more privacy, you can enjoy your Ketchikan trip in the two-story stand-alone vacation house. Each abode comes with full-service kitchens and modern amenities including Wi-Fi and HDTVs. Black Bear Inn offers short-term stays and extended rentals, with each unit outfitted with a focus on elegance and comfort. Relax with all the comforts of civilization including fireplaces, cable TV, free local phone, and a high-speed wireless internet connection. Plus, every guest can enjoy the convenience of free drop-off and pick-up to all of Ketchikan’s fishing and tour activities. 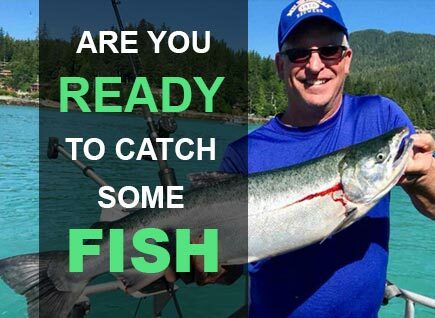 Anchor Inn is a secluded spot by the shoreline and is close to Herring Cove, and one of the best places to stay in Ketchikan, Alaska if shoreline fishing is your thing. The wildlife around Anchor Inn put on a great show daily. Whales frolic in the bay and otters, seals, and porpoises regularly frequent the area. You are bound to see something going on every time you look out the window. Thomas Street Vacation Rental is only one block away from Ketchikan and features three accommodation lodgings on Thomas Basin boat harbor. Take your pick from a studio unit, one-bedroom apartment, and a three-bedroom house unit. There is a single parking space provided for each unit, high-speed wireless internet, basic cable and TV, and access to washers and dryers. The Landing Hotel is conveniently located directly across the street from the Inter-Island Ferry and is the first stop on your way from the Ketchikan International Airport. Featuring gorgeous views of Ketchikan’s waterfront, The Landing Hotel has 80 guest rooms and 27 suites. All accommodations are spacious and outfitted with classy furniture. All guests have free shuttle service and two on-site restaurants. A stay at The Gilmore Hotel gives you central access to downtown Ketchikan, easy access to the cruise ship docks, Creek Street, and just about every other tourist attraction Ketchikan has to offer. Each guest room comes equipped with a flat-screen TV and free WiFi. Room service is also available during the restaurant opening hours. If the guests have a good day on the water, they also receive complimentary freezer space in The Gilmore Hotel’s spacious freezer. Enjoy Ketchikan in a rustic hotel surrounded by ocean vistas and the Alaskan landscape. Rodeway is just minutes away from downtown Ketchikan, providing easy access to shopping, galleries, and places to eat. Rooms are spacious and comfortable, decorated with beautiful furniture, and includes HD TVs and complimentary Wi-Fi. You will love the old-timey feel of Salmon Falls Fishing Resort, which was built by fisherman for fisherman. Every room has been recently updated and features classic Alaskan style furniture. The lower lodge cabins exude a cozy log cabin feel, rustic décor, and at least one log wall. The upper lodge rooms are slightly roomier and feature mini-fridges and microwaves. Super 8 in Ketchikan is right on the waterfront and minutes away from the Port of Ketchikan and an awesome day of fishing. Every guest receives a complimentary breakfast, guest shuttle, and room in the freezer to keep your catch fresh.